I'm Marie and I've been a freelance writer for small business for many years. To see my style look for MPG Narratives or MPG Communications. Anyone who has visited London for a holiday will know finding suitable accommodation is not easy, especially if you're on a budget. 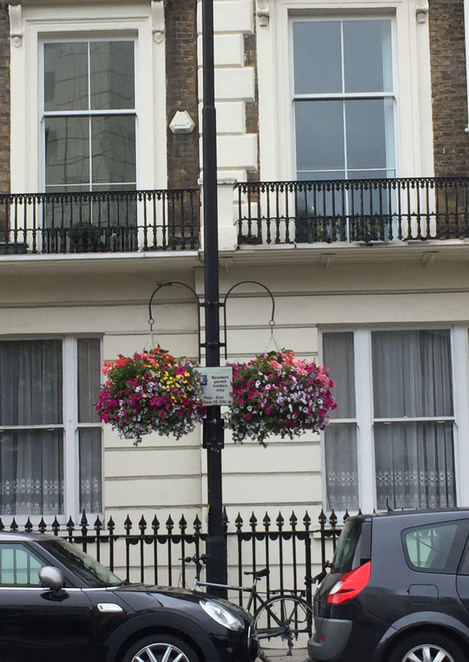 London is an expensive city, and as this was my first visit, I wanted to stay somewhere close to the iconic sights we both wanted to visit, and be reasonably priced. The Westbourne Hyde Park is the place I chose for us to stay and explore London. This lovely boutique hotel was refurbished in 2016 and although the room with kitchenette was small by Australian standards, it was more than comfortable for two. We found the kitchenette (equipped with just enough pots, pans and cutlery) came in very handy especially that Sainsburys and Marks & Spencers grocery stores were situated at Paddington station. There are also heaps of cafès and convenience stores nearby. Landing in London at the crazy hour of 6am, we arrived at the hotel too early for our room to be ready. This was not a problem because the friendly staff directed us to the 'powder rooms' to freshen up, then once we returned our toiletries and airplane clothes to our bags and locked them, they were securely stowed away until 3pm when our room was ready. Although tired from our long flight we were keen to start exploring and again staff were helpful with tips on where to find a good breakfast, buy Oyster cards (for public transport) and where to exchange money if needed. Once we returned and were in our room, staff were helpful yet again when we had a couple of issues with the air conditioning in our room being stuck on 19°C, which is way too cold for a London summer, and our safe didn't work. These small technical issues were fixed promptly and we were able to stay in the room comfortably and concentrate on enjoying our holiday. 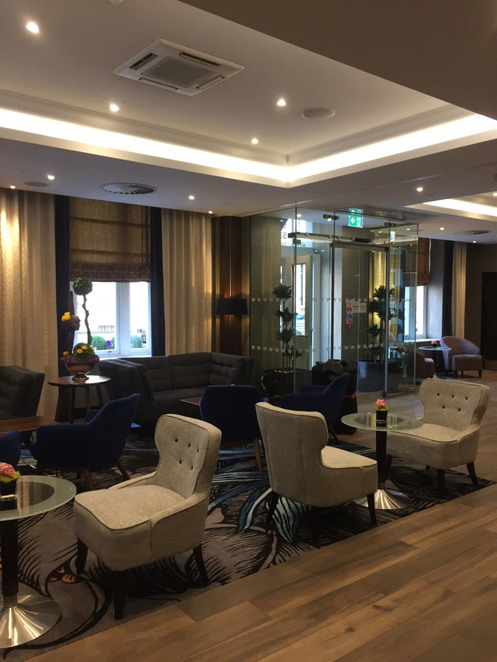 The Westbourne was recently refurbished in the latest retro look. 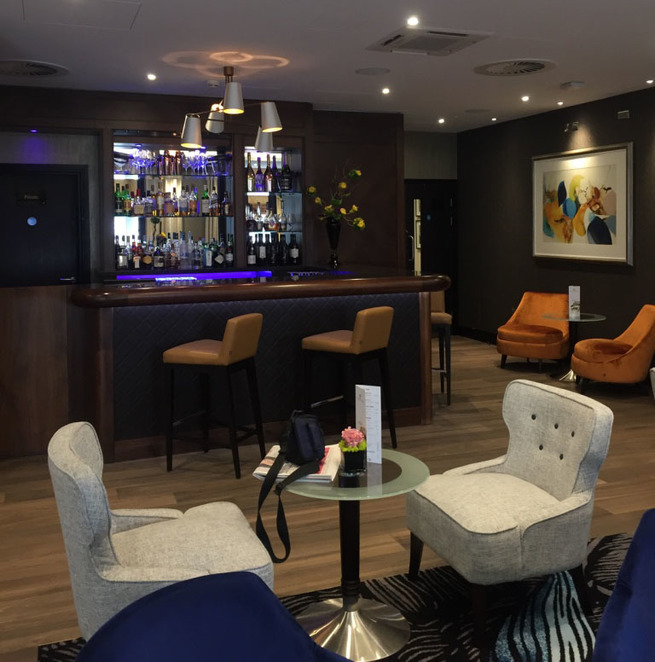 The foyer and bar area of the hotel is very welcoming with its fun retro furniture, and although we didn't use the bar (we were too busy visiting sights and friends), people were often enjoying a drink at the bar. London has a good train system known as 'The Underground' or as it's colloquially known, 'The Tube'. There are two train stations a short walk away from The Westbourne Hyde Park - Lancaster Gate and Paddington. Trains run every 2 minutes. You can use these two stations by purchasing an 'Oyster' card for £5* (at most convenience stores) and topping it up as you need. Oyster cards can be used on London buses as well, although we chose to use the Tube. When you are about to leave London take the Oyster card back to redeem any pounds left on it. 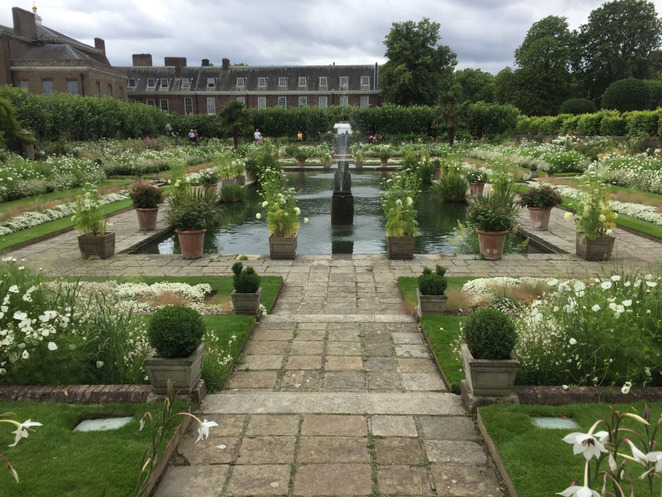 Around the corner from the hotel is Hyde Park and it's only a 5 minute walk with the Italian Gardens; Albert Memorial, Serpentine Lake, Kensington Palace and The Diana Memorial Garden ready to be explored. We walked through Hyde Park often and enjoyed watching people walk their dogs, ride bikes, jog and generally enjoying this huge green space in the city. This area of London in summer is alive with gardens full of flowers and hanging baskets full of colour. 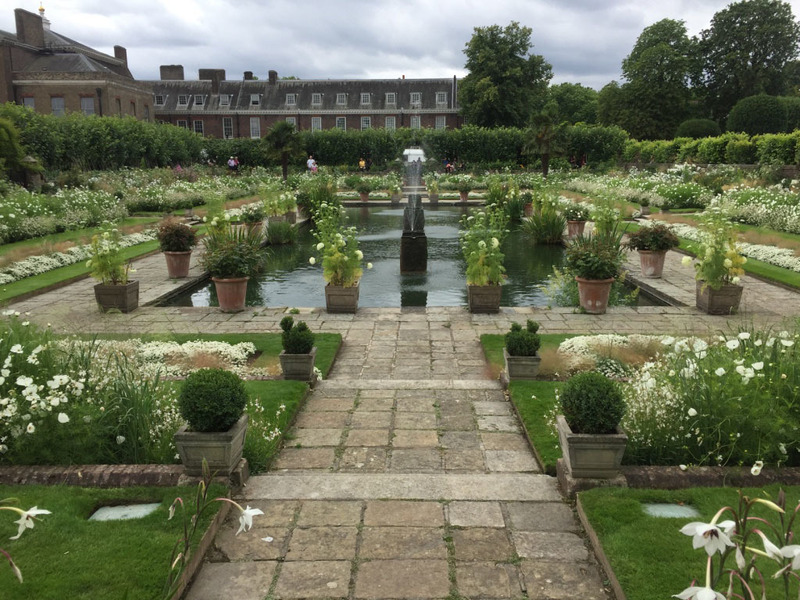 During our stay we also visited: Buckingham Palace, London Bridge, Burough Markets, The Victoria and Albert Museum, The Natural History Museum, Marble Arch, Notting Hill (Portobello Road), High Street Kensington and Harrods as well as Oxford Street (over 300 shops). These are either in walking^ distance from the hotel or a short 10 to 20 minute ride on the Underground. The Westbourne staff. Always attentive and helpful. Some day soon we hope to return to London and I know where we'll be staying when we do. Thanks Westbourne Hyde Park for being part of our memorable London holiday. price correct at time of writing this review. ^London is quite flat so it's a great city to walk around. I am a Londoner based in Colorado bringing small groups into Ireland & the UK. Why do London blogs keep harping on about London being expensive. It is not for tourists unless they do stupid, overpriced, pointless things like Madam Tussauds, the London Eye & one or two others. You can travel all day on the Tube/Buses for about 7 quid; there are brilliant budget hotels like Premier Inn & more recently the superb Travelodge at Vauxhall; there are dozens of Wetherspoons for eating out; West End theatre is much better value than Broadway. I do tours to Dublin as well & take it from me that Dublin is now more expensive than London. If all you London blogs keep going on about how expensive London is tourists will stop coming. I am sure the Westbourne Hotel is wonderful but your notion that it is 'cheap' having complained about London being expensive is nonsense. 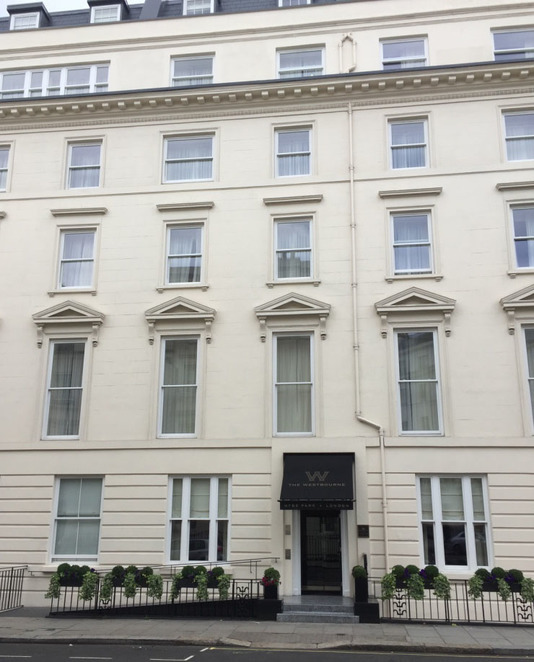 For two nights WITHOUT breakfast June 9/10 2018 the Westbourne is GBP498 for a double bed. 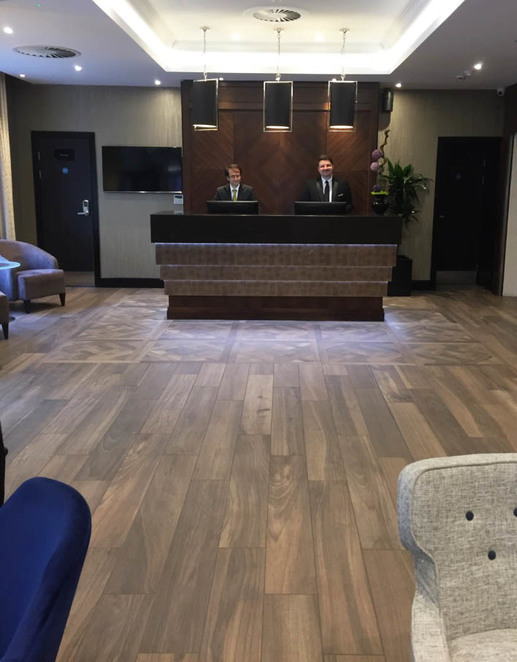 The Travelodge at Vauxhall in one of their brand new 'Super Rooms' with a/c is GBP232 for a double bed with breakfast & free wifi.. It is located 4 mins walk from the River Thames riverside path, 2 mins walk from Vauxhall Tube & is in Zone 1 so as close to everything as the Westbourne is.